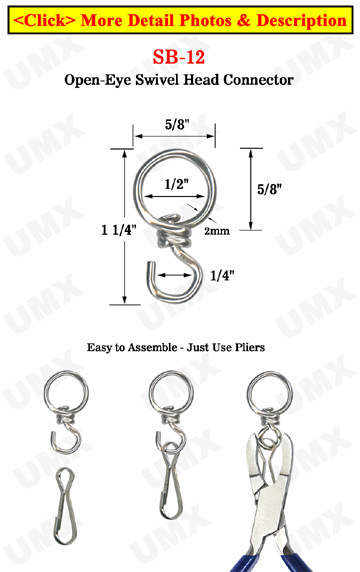 Our best selling round-eye swivel head connector has a 1/2" eye and can be used in conjunction with hooks, badge clips or badge straps, or with one of our universal strings. Easily insert round cords or flat straps up to 1/2" wide. The SB-12 can also be attached to small devices, meters or other items that require the swivel function.